He was ours. And because he was ours I told myself I wouldn’t watch it. I told myself that there was a chamber somewhere deep within, somewhere perhaps beyond reason and logic, that Michael Jackson inhabited. That I wanted to protect that place, that altar. That I needed to protect it. For myself. Because isn’t that what we do with people we love? We stand by them, champion them, promise to shield them. When I texted a friend in the moments after I’d watched Leaving Neverland, expressing that it was unquestionably the darkest, and perhaps most haunting, portrait of Jackson’s personal life we might ever witness, she cut me off. “Not interested,” she shot back. “Leave Michael alone. He’s dead. The end.” She was doing what many of us have done—as when the child molestation allegations stirred in 1993 and again in 2005—and will likely continue to do in the wreckage that the documentary is certain to leave behind. She, like thousands did online as the doc aired, was shielding the altar where she had placed him. And who could blame her? I certainly wasn’t about to. That is the power of our once King of Pop. At the summit of fame, Jackson was a magnetic figure. And in death, he remains an even more hypnotic, if mystifying, force. It is not enough, even now, to simply say that people wanted to be around Jackson or to be him; he was pure gravity. To surrender to his music, to give in to the silk of his voice on “Rock with You” or “Billie Jean,” to yield to his message of love, was merely what being a fan meant. He was absolute cool, personified and longed for. A spellbinder with once-in-a-generation talent, he was a peerless entertainer: a confounding and intoxicating elixir of musical genius and generosity. For Wade Robson and James Safechuck, however, the force of Jackson’s pull took on a much more pernicious texture. As they tell it, something darker bubbled under Jackson’s facade. Robson and Safechuck are the focus of the two-part, four-hour HBO documentary Leaving Neverland, in which they allege Jackson sexually abused them for the better part of a decade. Beginning at ages 7 and 11, respectively, Robson and Safechuck detail how they became close with Jackson and how the singer later exploited that bond. With its release, the film joins a recent spate of documentaries—including Lifetime’s six-part series Surviving R. Kelly and the Oscar-nominated Minding the Gap—that examine the thorns of domestic and sexual abuse. Leaving Neverland opens in the late 1980s at the peak of Jackson’s fame, just as he has embarked on his Bad World Tour. At the time, Robson was an aspiring dancer from Australia who considered Jackson “my idol, my mentor, my god.” After winning a local dance competition, Robson and his family found themselves entangled in Jackson’s fairytale life. Safechuck met the singer around the same time, during the filming of a Pepsi commercial. Even though he was a larger-than-life entertainer, Jackson made Safechuck feel important, wanted. “That creative genius thinks you’re special,” he remembers of Jackson in the film. 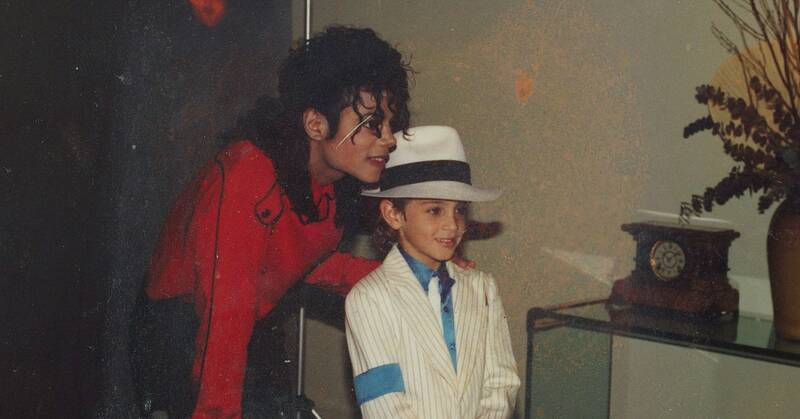 “What’s not to like?” Soon, both boys and their families were spending hours with the pop star and making frequent visits to Neverland Ranch, Jackson’s Santa Barbara County home, his dreamlike oasis that featured an arcade, amusement park, zoo, and theater. The ranch, both men claim, was also ground zero for Jackson’s elaborate sexual predation. In response, fans have sought their own form of counter-programming as the hashtag #MJInnocent became a safeguard against Leaving Neverland‘s perceived smear campaign. Perhaps most damning is the portrait Leaving Neverland paints of Jackson as a tireless manipulator. “He would run drills with me where you’d be in the hotel room and he would pretend like somebody was coming in and you had to get dressed as fast as possible without making noise,” Safechuck remembers. “Not getting caught was fundamental. It was very much a secret.” Directed and produced by Dan Reed, the documentary becomes not just an indictment of Jackson but an unpacking of psychological abuse—it looks at how the seed of trauma roots itself not just in the lives of Robson and Safechuck but also in the lives of their family members, many of whom appear in the film. Leaving Neverland is not the first damning look at Jackson’s alleged child molestation, but it is the most detailed to date. (The 2003 Martin Bashir documentary, Living With Michael Jackson, also presented a disorienting look into Jackson’s intimate life; in it, the pop star owns up to sharing his bed with children.) Sunday night, as part one of the film played on HBO (part two airs tonight), Twitter became a heated battleground for Jackson’s very soul. Many of the responses mirrored the sentiment of my friend’s text. Watching it all play out was a reminder about how feral fandom can become. How it festers online. But I understand that it was also about protecting the altar where they’d positioned Michael Jackson. It’s impossible to deny his artistic brilliance—the sweat and pulse of his music and the sheer force of life that rose out of it have occupied our most sacred arenas of community—but my own fandom now seems less certain in the wake of the documentary. Robson and Safechuck (and, by extension, their families) trusted Jackson because of his fame and power. They believed there was goodness in him. His fans continue to do so for the same reasons. But does that overrule the trust we have in the word of survivors? Regardless of where your belief lies—I’m choosing to believe both men—Reed’s film adds to a necessary and growing dialog about sexual abuse victims. “I want to be able to speak the truth as loud as I had to speak the lie for so long,” Robson says of finally coming forward. Leaving Neverland will likely register as one of the central documents of this era, because at its heart it forces us to reckon with the dark thrall of influence. How it infects. How it blinds. How it bleeds. Maybe more than anything, it requires us to ask ourselves: Who should we trust?